The SkyStream TWO Android Streaming Media Player comes with a nice selection of streaming apps. Unlike other popular Android TV boxes like the Nvidia SHIELD (Our current favorite) Skystream media streamers use a phone version of the Android OS which gives you full access to the entire Google Play store. The Nvidia SHIELD on the other hand, has a limited version of Google Play which only contains apps that natively work with their Lean Back version of the Android OS. These apps have icons that can be launched right on the home screen. Other apps can still be downloaded using FireDL or installed by using the Google Play Store from a web browser and using a side load launcher app to launch these apps on a SHIELD. With the phone version of the Android operating system, which you will find on almost 99% of Android TV boxes, instead of using only your remote to control the operation of the device, you will need to switch between the remote, bluetooth mouse or a combination mini keyboard/trackpad like the excellent COOPER MAGIC WAND Handheld Universal Portable Backlit Controller. When it comes to cheaper Android TV clone boxes from China, the SkyStream TWO stands out from the rest and here is why. This Android TV Media Player, like others gives you access to some really great apps to watch your favorite shows. You can watch content from a variety of ohannels and Android Movie Apps on the SkyStream Two. The overall build quality and support you will receive from SkyStream should you ever need help is also better than what you get from most of the cheaper Android TV box sellers from China. 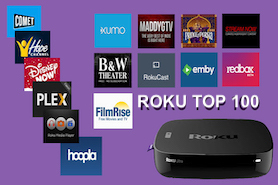 If you only plan on buying a media streamer to watch Netflix or Amazon Videos, you would probably be better off with a lower cost Roku or Fire TV. 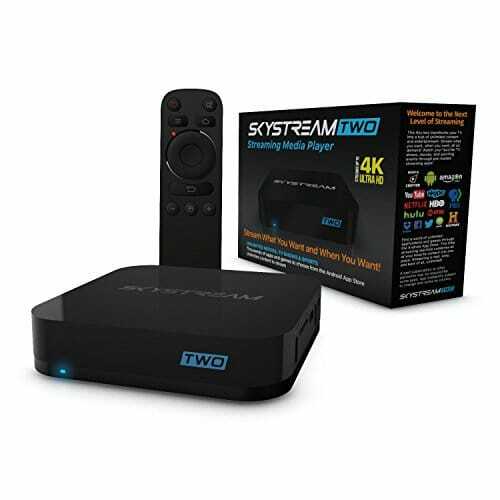 If you want an Android TV box that is easy to setup, is very high quality and can stream 4K content from unlimited sources than have a look at the SkyStream TWO. The SkyStream Two comes with some seriously and extremely powerful features and specs. 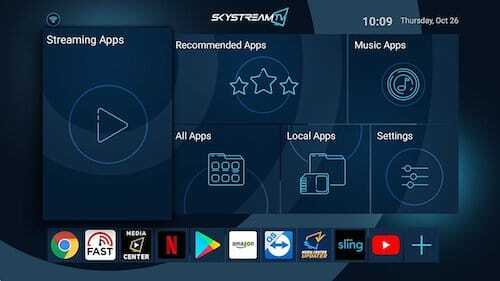 The SkyStream TWO uses the Android 7.1.2 Nougat operating system. Android 7.1.2 is both fast and powerful. SkyStream did not stop there, they got together with a highly esteemed custom firmware developer on XDA and cleaned up the off the shelf Android OS and developed a custom firmware for the SkyStream Two. This eliminates a ton of needless Android bloatware and actually increased the speed of the processor with various system tweaks. This custom version of Android actually runs 10% faster than had they just used an off the shelf version of Android. This will make it speed through your favorite TV channels and apps with ease. With this model, SkyStream went with an impressive AMLogic S912 Octa core processor. Android diehards know AMLogic makes a better chipset than Rockchip for streaming and this box uses the most powerful processor they have ever made. 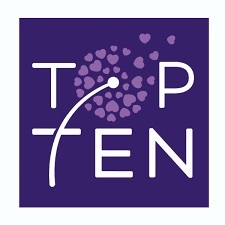 It has 8 cores running at speeds of up to 2.0 Ghz. This is some impressive and serious processing power for an Android media streamer that is equivalent to some PCs. Unlike lessor Android TV Boxes only come with 2 Gb of Ram, the 3 Gb of RAM on the SkyStream Two compliments the fast 8 core processor to make this one powerful media streamer.. The SkyStream Two also gives you tons of space for storage. It comes with 32 GB so you will have plenty of space for adding your favorite apps, games or Kodi repos. Want to use “OK Google" to Search for shows, stop,play or pause a movie. They SkyStream TWO now supports this as well. Wide Vine is a new security classification tool that says a device has been tested for security and specs to run apps like Netflix, Hulu and Amazon Instant Video. 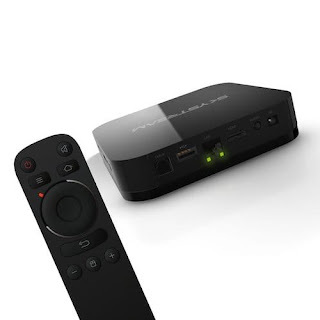 The SkyStream TWO has passed and is one of the few Android TV boxes that is certified to run these apps. SkyStream redesigned the home screen on this model compared to the ONE with a more pleasing, stress free and easy on the eyes blue color. This Android TV box comes with higher quality Qualcomm Wi-fi chip and a Gigabit Ethernet port for streaming speeds of up to 1,000 Mbps. This will minimize buffering and give you nice smooth streams. Overall, SkyStream has made some excellent improvements with their SkyStream TWO. If you are looking for a true Android TV box which has none of the limitations of side loading apps, like on a Nvidia SHIELD or Fire TV, yet offers massive amounts of performance and top quality hardware, you would be hard pressed to find a better Android TV box than the SkyStream TWO. 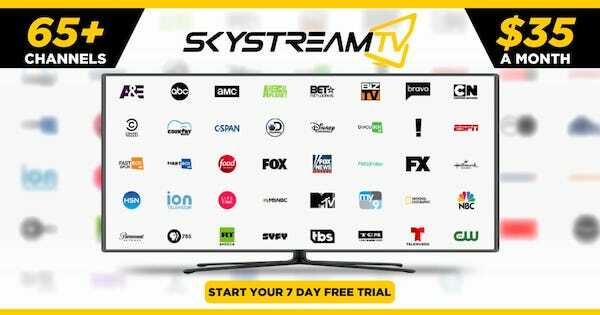 Cut your Cable TV Provider for Good with SkyStream TV!